Order in the next 3 hours, 58 minutes and 40 seconds for same day shipping. 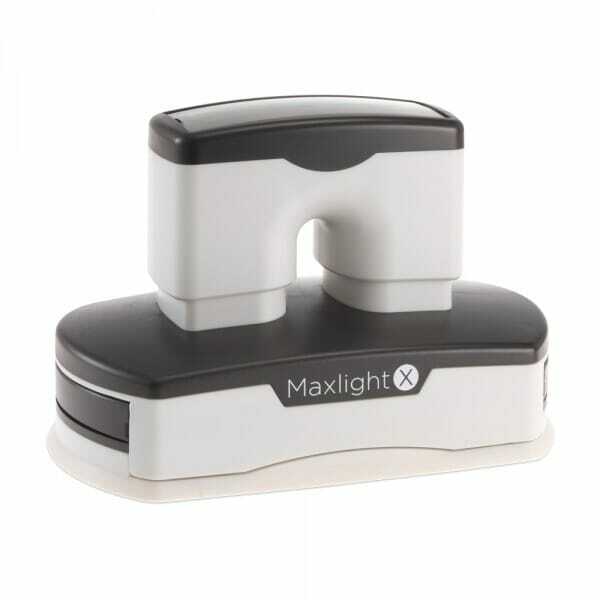 The MaxLight X33 pre-inked stamp has a maximum text plate size of 1-3/4" x 3-3/4" allowing you to create up to 9 lines of customized text. This large stamp is perfect for creating large business address stamps with logos, large message stamps, or any impression that requires the additional space. Customer evaluation for "MaxLight X33 1-3/4" x 3-3/4" - up to 9 lines"